Nakagawa was the first company in Japan to put thermal paper developed by the National Aeronautics and Space Administration (NASA) into practical use as facsimile paper. We are a pioneer in the processing of specialty papers such as graphic recording paper, facsimile paper rolls, and mini-printer rolls. We strive to leverage our wide-ranging expertise to help our customers meet their own goals. Thermal paper is a copy paper coated with a colorless formula that will develop an image with the application of heat. When passing through an imaging device, precise measures of heat applied by the print head cause a reaction that creates a strong dark image on the paper. The benefits of thermal printing technology include clear legible imaging, fast printing, quiet operation, reliability, and low cost of ownership. Of course, no ribbons or cartridges are required. Do images on thermal paper fade or disappear? 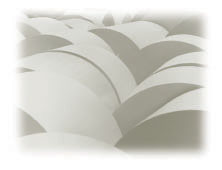 Thermal papers are designed for specific applications. Some products are formulated for long image life (such as warranty information or credit balance), and others are designed to offer an economical product and shorter duration use (such as Point of Sale). Please contact Nakagawa for more information about thermal paper, and which products best meet your needs. Inkjet paper can be broadly divided into two categories, Matte coated and Glossy. Nakagawa Manufacturing (USA), Inc. can supply a variety of inject products in both categories.